There are many wonderful traditional enchantments all over the world. But frankly, one of the most popular and bestselling charms is the dreamcatcher. 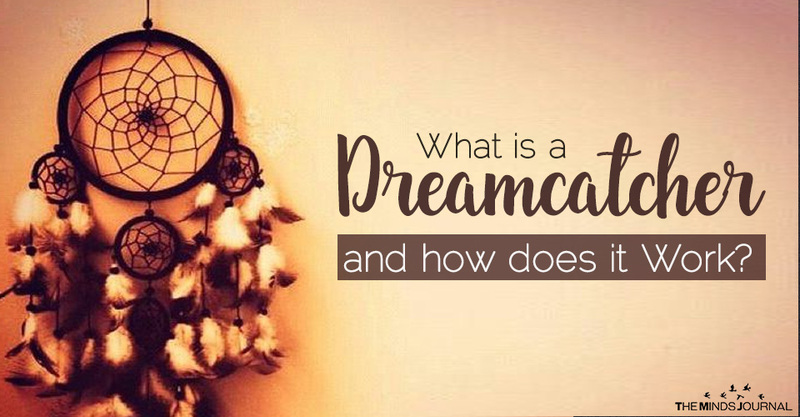 However, have you ever wondered what exactly is a dreamcatcher or how does it work? Well, let us travel you to the religion and the wonderful stories of Native American Culture. According to Hopi religion, the Spider Grandmother, or the Spider Woman is the creator of all humankind. She is actually related to Gaia, the Mother Nature, or Great Goddess. Also known as the great protector and helper of humans (according to Navajo tradition) the Spider Grandmother dates back at least to Teotihuacan – pre-Columbian America, where she is depicted as the Great Goddess. Also known as Asibikaashi, the Spider Grandmother is believed to protect the infants and all children of the Land. To honor Her and conjure her blessings, people in these lands created charms which have been evolved to what is widely known as dream catchers. As the tribes spread all around America, people believed that Asibikaashi was unable to effectively protect all her children. This is why people used these charms – or better portals of Asibikaashi from which she could extend her blessings and protective powers. Frances Theresa Densmore was an American anthropologist and ethnographer who noticed and researched these charms writing that ‘even infants were provided with protective charms. Examples of these are the “spiderwebs” hung on the hoop of a cradleboard. In old times this netting was made of nettle fiber. Two spider webs were usually hung on the hoop, and it was said that they “caught any harm that might be in the air as a spider’s web catches and holds whatever comes in contact with it’. Traditionally the Dreamcatcher is a handmade charm drenched in Knot Magic Power. It consists of a Willow hoop on which a spider web is woven. Its use is not confined to only driving off bad dreams. The Dreamcatcher’s purpose is to protect children not only from nightmares but from all causes of bad luck and misfortune. This common misunderstanding probably comes from the Native American’s belief, that all cause of bad luck, ill health and misfortune is actually the result of a spiritual agent. In other words, diseased, sudden deaths, accidents, and other unfortunate events are caused by spirits. How does the Dreamcatcher Work? There are two theories of how the Dreamcatchers Work. The Portal Theory: According to this belief (which makes more sense), the Dreamcatcher is nothing but a spiritual portal, an instrument of Great Goddess. It acts like a sigil, conjuring her Divine powers over the room where the dreamcatcher is placed. This is why it is hangover cradles or beds. Asibikaashi, the spider goddess, will bless the room with her magic and trap all evil agents and spirits on her web. The Great Goddess shall not let evil pass through this space because Evil is afraid of the Her. The Dream Web: According to another popular theory, all dreams are attracted by the woven spider web. However, the only good dream can pass through as the bad one are stuck on the web. Hence, when hanging ever cradles and beds, a dreamcatcher ensures that anyone can have a good night sleep without any nightmares or bad dreams.